En donde empezamos y siempre retornamos, Durango. At the conclusion of a book very dear to me, Alicia Schmidt Camacho reiterates that those beautiful beings who inhabit the fringes of the bordered ambiguity of existence, habitantes de fronteras, are those capable of constructing worlds anew. After hundreds of years of being relegated to violence, death, abuse, and oblivion, those who have grown and resisted within the borderlands have learned to grow within apparently rigid parameters of existence, to make space where we were told and where we learned there was no room to grow and thrive. 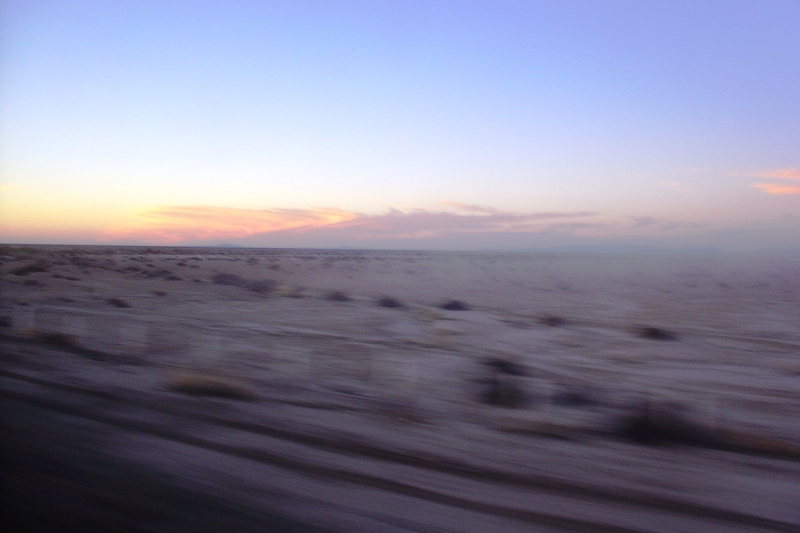 It is within violence and ambiguity of desolate weather that desert life thrives and grows. As I travel through northern Mexico on the dawn of a new cycle and year, I cross deserts, hills, and mountains to reach Los Angeles. As our bus pulled away from my mother’s hometown in southern Durango, I beheld a beautiful sight of milpas and orchards, a reminder of my family’s work as farmers and luchadorxs. And as my bus sped down highways destined northward, through the arid deserts of Chihuahua and Arizona, through my window I perceived the immaculate beauty of life in its extreme and desolate expression. On the last leg of my traveling on the dawn of the New Year, I admit that this year, I learned about my ability to create, to articulate, to express and act upon my own vision. That in traveling through Tijuana, Durango, Oaxaca, Mexico City, and La Paz, Baja California while voyaging through the treacherous terrain of my own fears, unhappiness, courage and growth, I learned about my resiliency, and my power to reinvent and build myself anew, inhabiting and loving each new environment, each new terrain. Ella esta por embarcar. She is about to embark, about to leave, about to begin. In the beginning of this year I decided, or better expressed, felt obliged by my creative spirit, to begin to articulate my desires and reflections through the written word via this blog. And much of what has inspired and unsettled me has been traveling, both spiritual and physical. Even from the familiarity of my nest in Los Angeles, I have been compelled to explore and better understand myself; after so much time living with an understanding of who I was, what I desired, hoped for and was compelled to pursue, I realized that much of what I thought I understood about myself was imposed upon and simply outdated. Embarking, exploring, discovering more about myself by articulating thought into word, curiosity into voyage, has thus been my journey this past, and quickly closing, cycle. Within the spaces and pauses of each sentence, and within each sublime conversation with the dozens of people I have met in my journey through Mexico, spectacular site of so much of my growth, pain, and reason to hope and resist toward happiness and social change, and through life this year, I find the inspiration to construct a world versed in the language of creativity, fluidity, justice and love. To build a world compatible with the thousands of worlds I hope to meet, explore, and grow alongside with each new cycle. And with each new road paved through the expansive space that both articulates and severs deserts, hxstories and journeys, I compose the verses and relish the sensation of life as I flow, weather, and choose it. My heart trembles as it threatens to shatter into a million diaphanous specks of light. Yet the outcome does not matter. Because love must be indiscriminate. I must share and be generous with the bountiful love that slumbers inside me because to deprive anyone of compassion and understanding is to be selfish and violent, it is to capitalize and deny spiritual nourishment, to limit the healing power of love, the elixir of life. And it is to waste away my soul’s capacity to regenerate love. My sole expectation is to learn from and love the smallest and grandest occupants of this universe. I do not demand love or reciprocity but understand that it will flow to me naturally as I give and offer love. I do not expect, I participate. I do not take, I offer. “Los pasos de mi madre,” por la huerta de manzanas de mi abuelo en Nuevo Ideal, Durango. Preparándonos para nuestro viaje a Durango, entre hacer el equipaje y las compras obligatorias de dulces y demás regalos para la familia, mi mamá me comenta que hoy como cada año se siente triste en su regreso. Cuando le pregunto la razón por su tristeza, le es dificil explicarlo, pues nace dentro de ella tan naturalmente cada vez que es su tiempo de regresar. Colectivamente emigramos de Durango hace más de trienta años, ya que mis primeros viajes empezaron cuando ella decidio dejar su pueblo para cruzar las fronteras y establecerse en Los Angeles, California. Desde entonces ella ha podido regresar, contando con toda la autorización burocratica necesaria y con la añoranza y deseo abrumador por el reencuentro. La nostalgia que ella siente lo he experimentado yo año tras año y me dio cuenta que la tristeza es el deseo de no tener que haberse ido. Dentro de los flujos, retornos y viajes hemos coincidido en el regreso, juntas. Vámos pa’l pueblo. As I travel through life I am met with subtle blessings and encounters in the form of lovers, friends, and cities. As my most recent reality and context, Mexico City has been the incubator of many friendships and conversations woven amongst mujeres pajaros, womyn poets and travelers who defy borders to find themselves and others in a city that is both hostile and nurturing. Throughout the last three years I have met many mujeres who have fallen in love with Mexico City. As I reflect and contemplate each story I realize that this group of mujeres have individually and collectively nourished an energy for life that sustains my personal hunger to return to the city. They inspire me to contemplate what it means to return and how returning is a journey that I have the power to perpetually reinvent and remap, as if each return takes me in the direction of a renewed and different sort of love. Mujer, con alma que canta, espiritú de viaje, sueños imperturables, who dreams of creation and expansion, from you I learn that patience and dedication is what sows the strong roots of our creative projects. That although time may pass and distance resembles borders, our imagination coupled with the encouragement of transbarrio pen pals serve to give life to our dreams of returning. That our hunger for creation and growth make our dreams within reach. Mujer pajaro who dreams of connection and innovation, of returning to a love born out of one of her first encounters with the city, I recognize your energy and constant strive to occupy your own place within every city, every circumstance, every challenge. You are one of my earliest inspirations, mujer who first described the marvels of the city, of the lessons and the passion to defend and live up to them. Gran y hermosa mujer that dreams of the sights and landscapes most sincerely adored, who dreams of family and antiquated love, you teach me to recognize that love does last, that the city always welcomes back those who have loved and known it. That nostalgia is something to nestle my best memories in and where I can incubate my most sought after dreams. Mujer, amiga que piensa y que ama, who dreams of love and companionship, perpetual viajera que transita fronteras por amor, de justicia y de libertad, you teach me that love has never succumbed to borders and conventions, and that distance is not a border but a circumstance. That love can overcome it. Ultimately, the yearning to return and to visit is inevitable, as it is a residue and remnant of all things beautiful and inspiring in life. And returning and visiting can mean many different things to each one of you. But it is part of the journey. In between our going and returning, we grow and are nurtured by a journey that serves to inspire all who dream and who live collectively. In that way, we all serve to encourage each other’s coming and going, each (re)encounter with the smallest and largest examples of life and love. It so happens that each and every one of us have been given the opportunity to intimately come to know one of the largest examples of love. Mexico City is this, or has been this, for us in the past. May our journeys to and from it be filled with more opportunities for growth and love. The process of forgetting feelings versus the process of forgetting people and place; could it be that although you never truly forget a person, because of time and space, you induce yourself or are forced to forget how you felt about them, and so that when you see them, you remember them, but you no longer have present those feelings that once inspired you to think you’d never feel anything like that for anything else ever again? Or are these resolute feelings authentic, but their passion is so strong that it astounds and clouds doubt of love over us? Could this be true about a city? 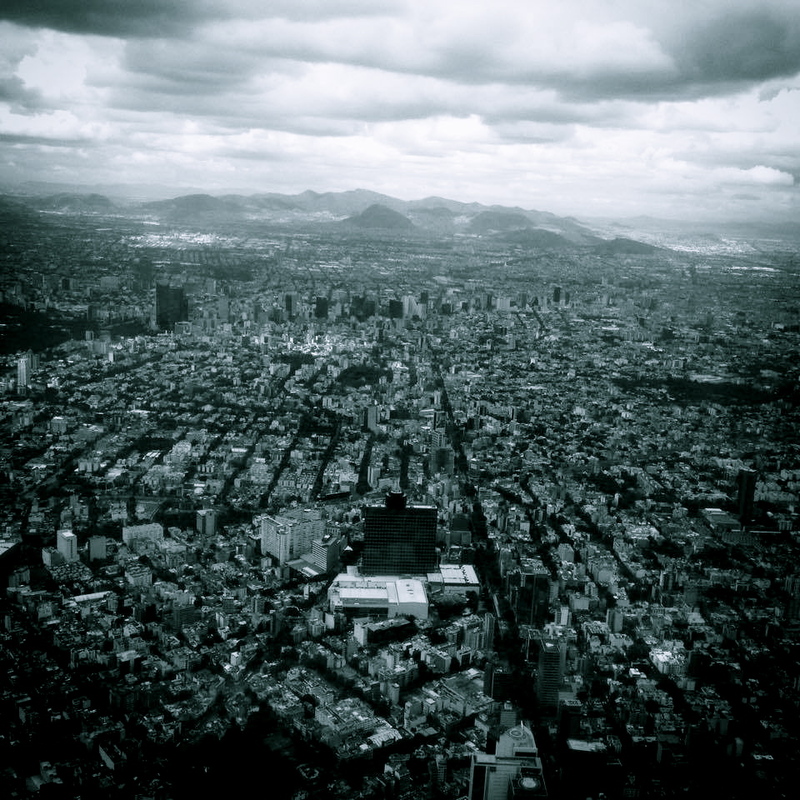 When it comes to Mexico city, both person and place, my dilemma of love is in no way new. It’s been about seven months since I stepped on chilango soil last, and as I contemplate the urban sunsets over it’s downtown through virtual means and relish in the memories of it’s tastes and sensations, my love remains steadfast as I continuously live in a different context, in a different city. Considering that Mexico City has always been a city of flux and migration, both internal migration from rural areas to the urban center, and international migrations, from Latin American professionals who flock to the largest city in the hemisphere in pursuit of opportunities for work and international tourists in seek of leisure, many people are perpetually arriving and leaving, always consuming and exchanging a bit of themselves with the city. As an exchange student-turned-tourist-turned-adoptive-denizen of the city, I’ve met and encountered many people from all of the world who’ve migrated to the city in pursuit of opportunities to become more themselves – from writers to graphic designers from Venezuela, young students of politics from Colombia, musicians from Puebla, and free spirits and world-class mezcal drinkers from Sacramento. I’ve met people who, like me, are in pursuit of something distinct from the sameness found in U.S. cities, who plan to make Mexico City a more permanent home. And in my journey from and between my many homes, I’ve met both lifelong and adoptive dfeños who always speak and refer to Mexico City as a city to miss. From pict(oral) histories exchanged in person and internecticamente, with stories that illuminate Mexico City of the past and present, from childhoods in Parque Alameda and nights out in El Centro, the sounds and smells and tastes are always preserved in synesthetic memories of once transients of the city. These memories, this nostalgia, ultimately turns into a yearning and desire to return. In many ways, upon experiencing the city, the writers and designers and lovers and travelers are willing to, and ultimately do, return. It’s as if Mexico City marks you. It marks you with a love and an inspiration to love and live in a way that parallels the intensity of its urban life. It’s the simple things in the city that inspire a greater and more permanent, life-long love. And it is despite the distance and despite time, that a love for a city subsists. Because however small and however remote the happiness remains remembered of our time living in Mexico City, it is the conjunction of all these that make for one of the most sublime lessons on love and life. As the lyrics go for one of my favorites songs by La Negra Sosa and interpreted by Chavela Vargas, ultimately, uno vuelve siempre a los viejos sitios donde amo la vida. One always returns to the places where they loved life most. In that way, we are always returning.